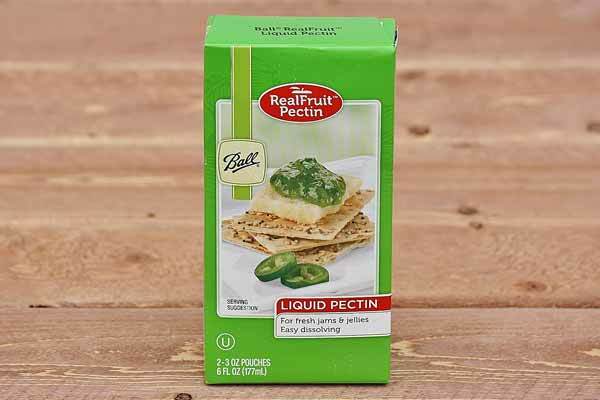 Ball pectin in liquid pectin form. Better formula for consistency and longevity. Raspberry jam, jalapeno jelly, sweet cherry jam, and more! Contains 2 3-oz. pouches. Recipes and instructions are inside the package. Made in the USA.